In most cases, there is no detection tool and testing conditions? We can according to the visual, olfactory, tactile and other sensory rough identification of PVC steel tube quality. 1. observe the lumen is rules? Wall thickness is uniform. Good quality PVC steel tube cavity and the outer edge of the standard round? Ring wall distribution evenly. To diameter 89mm? Wall thickness of 7mm PVC steel tube as an example? Poor quality of the thickest wall to reach 7.5mm? The thinnest at only 5.5mm? Working under a large pressure? Is easy to hose wall uneven force caused PVC hose burst or deformation? Impact of normal use. 2. Observe the presence or absence of bubbles or other visible material in the PVC hose wall. Is it colorless and transparent? 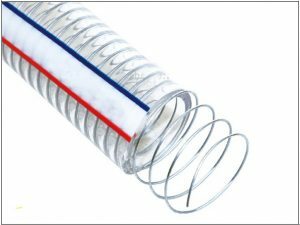 High-quality PVC PVC steel wire hose wall crystal clear? No impurities. And defective PVC steel tube color yellowing may be in the production process due to improper handling of decomposition, aging or long-term improper storage due. 3, high-quality PVC PVC steel wire hose in addition to a little plastic smell outside the absence of any other petrochemical products smell. And poor PVC steel wire hose has a bad smell of diesel smell, especially in the hot summer people can not close. 4, high-quality PVC hose inside and outside the tube wall are smooth? Feel good and low quality tube is more rough. 5, measuring the wall thickness should be cut off the PVC hose at both ends of the part? Select the middle tube as a sample test to prevent some illegal manufacturers in the tube at both ends of the article? The actual wall thickness at both ends of the tube.